Major Yacht Services can assist with all of your superyacht customs clearance and quarantine requirements in any Australian port. We can arrange to have the majority of the paperwork completed, prior to the yacht arrival, allowing for a seamless and stress free entry. At the time of arrival, we arrange for the Authorities to meet your vessel at her berth. Instead of clearing at a Customs clearance anchorage or wharf. In most instances foreign flagged pleasure craft will obtain a control (Cruising) permit on entry. Control permits (CP) are only available for pleasure craft that arrive under their own power. 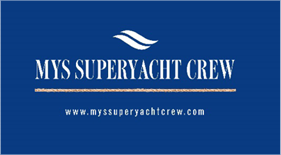 Superyachts are able to obtain a CP up to 12 months. Extensions can be applied for prior to expiration of the CP. All Australian Captains of foreign flagged vessels must prove their non-residence status before receiving a CP. Please contact us for further information regarding the regulations around Control Permits. All yachts arriving by ship must undergo a temporary importation with a maximum stay of 12 months or pay Import duties (if applicable) & taxes. Please Contact Us to discuss your particular circumstances. Whether you’re cruising Australia temporarily or importing the vessel permanently, we are here to assist and provide you with the ‘important information’ , to allow you to make more informed discussions. Major Yacht Services can assist with everything you need to know. We will inform the Department of Agriculture of your arrival, arrange for a bio security officer to meet you immediately after the customs officers and organise for all of your quarantine waste to be correctly disposed of immediately. It is possible for foreign flagged commercial vessels to conduct charter operations in Australia waters, providing that the correct procedures & requirements have been adhered to. The GST should not impose any impediment to the operations of Superyacht in Australia. However the Ownership Company of the vessel must be registered for the GST purposes and follow the correct procedures. Major Yacht Services can assist with the processes for the various departments. All vessels sailing into Australia are required to give prior notification of their estimated time of arrival to several Government Agencies, namely: Australian Customs Service, Department of Immigration, Port Authorities and the Australian Quarantine and Inspection Service. For smooth processing you can either contact them direct through any Telstra Coastal radio station on 2182khz. Alternatively you can contact Major Yacht Services to do it on your behalf and to arrange for a berthing officer to come to your vessel at the time of arrival. In either case, 96 hour notice is preferable to ensure a quick and painless clearance. Customs will require the following information prior to your arrival. the number of people on board & passport details. All on board the vessel will need a valid Passport and where necessary an Australian Visa. All on board are required to complete a passenger card and traveller’s statement. A control permit will be issued to the Master provided Customs is satisfied that the craft is transiting in Australia & not involved in Commercial enterprise. Control permits can be issued for a maximum period of 12 months or to the length of the Master’s Visa, whichever is less. Extension of the permit will be considered on application. If circumstances of the craft’s presence in Australia change, Customs must be advised as soon as possible. Failure to do so can result in a Control permit being revoked, at which time payment of duty and sales tax may be required. If the Master wishes to fly home and return later, appropriate control over the craft must be arranged and Customs advised. Any visiting overseas vessel seeking to operate commercially must as a minimum, hold a valid passenger survey certificate issued by another country or survey authority. The Waterways Authority would treat each application on a case by case basis. Engaging in chartering or any commercial activities between States and/or the Northern Territory in Australia, for example, from Sydney New South Wales to the Great Barrier Reef in Queensland, is subject to the provisions of the Navigation Act 2012. 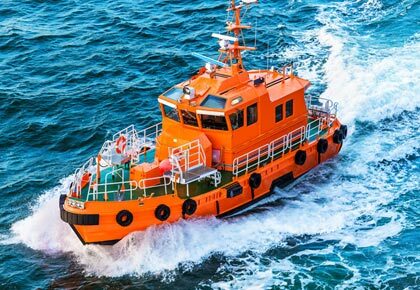 Any owner or operator should contact, prior to arranging to offer or undertake such voyages, the Australian Maritime Safety Authority (AMSA) and the Department of Workplace Relations and Small Business (DWRSB). Please note: If you intend chartering your vessel whilst in Australian waters you could be subject to Australian taxation laws. In this regard more details can be provided directly from the Australian Taxation Office, or by phoning us on: +61 – 2 – 9810 7200. 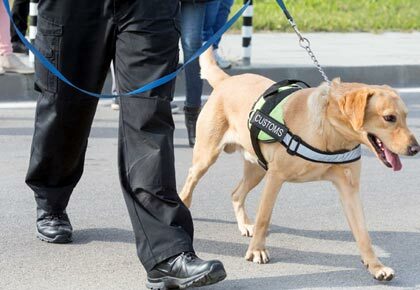 The master and all those on board a craft should be aware of the strict laws prohibiting or restricting the import and export of drugs, weapons and firearms, heritage items and animals and articles subject to quarantine and wildlife protection. The penalties for breaking these laws are severe. If the craft is carrying anything which may fall into these categories, they must be declared to Customs. Remember: You must not call in, go ashore, or land any goods (including animals) before you’ve received clearance. If you have an animal on board you must confine it, you’ll also be required to moor in mid-water. Australian quarantine laws are very strict with regard to domestic pets and it is recommended that, where possible, pets remain at home. Pets are not allowed to be brought ashore. What cannot be brought into Australia? Almost every kind of food available elsewhere in the world can be found in Australia, either locally produced or imported under strict conditions. If a vessel provisions in Australia and returns with those stores still on board, all dry stores, canned goods and packaged frozen goods identifiable as Australian origin will be acceptable. Fresh fruit and vegetables and foreign frozen meat will not be allowed clearance on return to Australia regardless of origin. This is because of the risk of infection/contamination. Ballasting in safe areas at the port of uptake. De-ballasting on arrival, including a commitment not to discharge ballast, treatment methods approved by Agriculture and discharge of ballast and sediment into approved areas nominated by Australian Agriculture. Ship masters may use one, or a combination of these measures. Ensuring ballast tanks and any holds used for ballasting are kept clean. Avoiding ballasting in shallow water where sediment uptake is more likely. Avoiding ballasting when toxic blooms are occurring. Sydney Harbour is a busy commercial port. Approaches to the Harbour and transit within the harbour, using either the east or west channels, are prominently marked on Charts AUS197, 200 and 203 inclusive. Recreational or privately owned vessels (under 30 metres) do not require a pilot unless they are carrying fare-paying passengers. If required, pilotage can be arranged by contacting Sydney Sea Pilots, or Major Yacht Services direct.